Over 1,100 athletes competed in the 2018 St. Louis Senior Games, which included sports ranging from water volleyball to track and field. In St. Louis, you’re never too old to become an Olympic athlete. This weekend, hundreds of people from across the region have come together to compete in the 39th annual St. Louis Senior Olympics. The event, which is open to anyone over the age of 50, includes a wide range of sports. Willie Miesner, 82, competed in the water volleyball tournament on Friday, playing for the LaClede Groves Sharks. First-time jitters aside, the athletes made a concerted effort to create a congenial atmosphere, both in and out of the pool. Some even offered advice to their competitors, like 70-year-old LaClede Groves team member Sally Yates. The game resembled a typical water volleyball match, with one exception: the competitors used a large, pink and white striped beach ball. Competing athletes lined up along the side of the pool, waving pom-poms and shouting encouragement. That kind of camaraderie among competitors is not unusual, said St. Louis Senior Olympics Director Phil Rubin. The LaClede Groves Sharks water volleyball team. 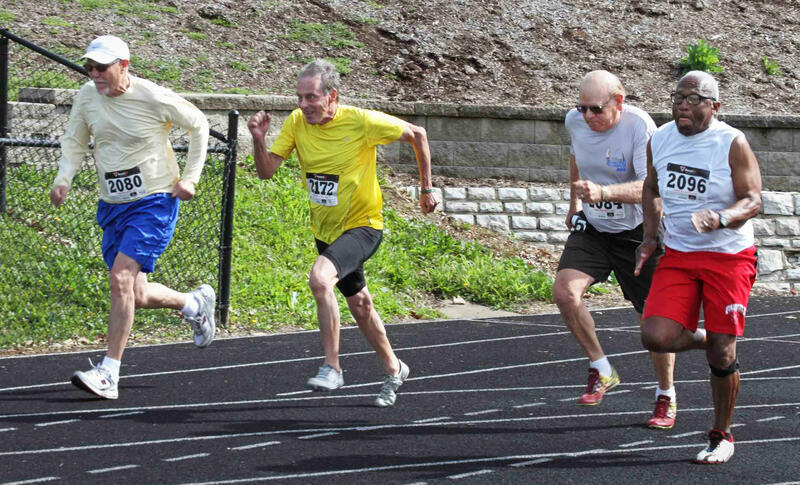 The St. Louis Senior Olympics first began in 1979, as a program of the St. Louis Jewish Community Center. Athletes cycled around a parking lot and competed in track and field games. 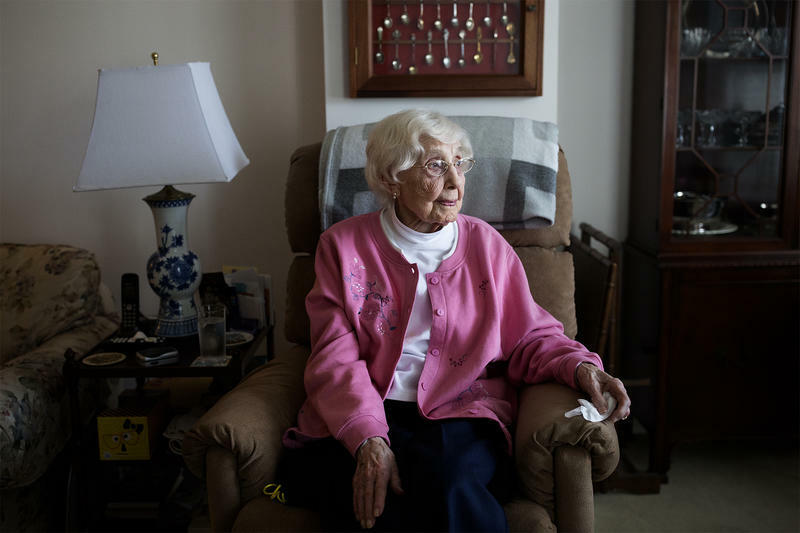 Despite its humble beginnings, the event sparked nationwide interest in senior games and is credited with inspiring the National Senior Olympic Games. “Because of the St. Louis Senior Olympics, this whole national games movement kind of just exploded,” Rubin said. The event has grown over the decades and now includes sports ranging from bowling to badminton. This year, more than 1,100 athletes will compete in 90 different events, including an 18-hole golf tournament at the Forest Park Golf Course on Tuesday. 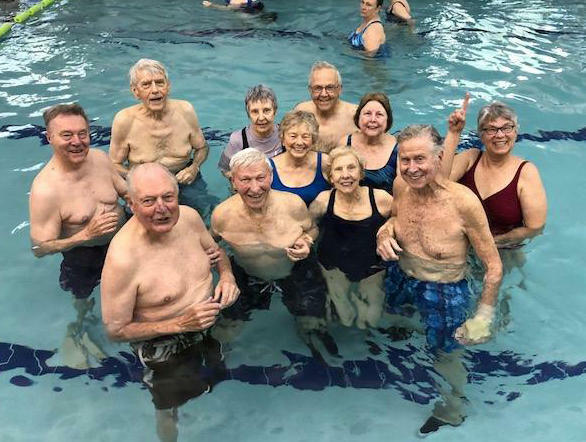 For Carl Safarik, a 79-year-old resident of the Friendship Village retirement community, the St. Louis Senior Olympics is a chance to have fun and connect with other members of the community.